It breaks Land Speed Records? THE FIRST TIGER! Sunbeam set their first World Land Speed Record in 1922 at Brooklands with Kenelm Lee Guiness at the wheel. He drove a 350hp V12 Sunbeam which is still on display at Britain's National Motor Museum. K.L.Guiness averaged 133.75 mph over two runs. In 1924, Malcolm Campbell took over the Sunbeam with the intention of raising the record to 150 mph. He made many changes to the car and christened it Bluebird, a name which was to be used on all of the Campbell family's record breakers. At Pendine Sands he set the record at 146.16 mph. Campbell had failed to meet his target and was not satisfied. He tried again in 1925 and managed 150.87 mph. A new V12 Sunbeam was built for Henry Segrave in 1925/6. Initially it was called the Ladybird, but was later renamed Sunbeam Tiger. In 1926 Segrave pushed the record up to 152.33 mph at Southport. In 1990, the Tiger made another attempt on its old record and hit 159 mph which was not bad for a 65 year old car. In a current showing at the Pebble Beach, CA Concour, the vintage Tiger is shown in beautiful condition. 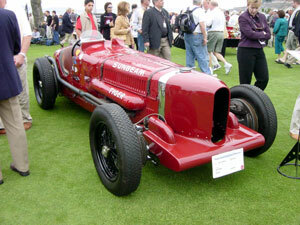 Sunbeam made its last successful attempt on the record in 1927 with the 1000 hp Sunbeam powered by twin V12 engines. Segrave made 203.79 mph at Daytona. This car is also on display at the National Motor Museum. Financial troubles were looming. It was decided in 1926 that Sunbeam would concentrate on luxury cars and control of the STD racing department was transferred to Talbot-Darracq in France. 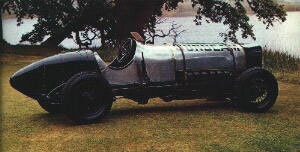 Sunbeam made one final attempt on the Land Speed Record in 1930 with The Silver Bullet, built for Kaye Don. Despite its dramatic appearance and supercharged twin V12s totalling 48000cc, it was a disaster and achieved nothing. Since the formation of STD Motors, the group had been phasing out the Darracq name and badging the French cars as Talbots instead. Depending on marketing requirements, they were sold as Talbots, Talbot-Darracqs or Darracqs in different territories. Talbot of Suresnes, France was purchased by Anthony Lago who had worked for STD for many years. French Talbots and Darracqs built under M. Lago are popularly known as "Lago-Talbots" or "Talbot-Lagos". Although now an independent company, the story does not end here. We shall be hearing more of Talbot of Suresnes. George Hartwell specialized in tuning Sunbeam-Talbots, and later Alpines, and campaigned them in rallies. He began cutting down Sunbeam-Talbot drophead coupes into two-seat roadsters and calling them Hartwell Coupes. George Hartwell proposed this car to Lord Rootes. In later years, George Hartwell was additionally elected the Chairman of the Harrington subsidiary of Robins and Day Group, a Rootes family owned dealership, while still producing tuning kits for the Sunbeam engines at his George Hatwell LTD, Bournemouth holding. Rootes were sufficiently impressed with the car that they decided to produce their own version. The design was refined by Raymond Loewy's studios. The new sports model was christened the Sunbeam Alpine in honour of the success of the Sunbeam-Talbot team in the Alpine rally. The Talbot part of the name was left out for the benefit of continental motorists, to whom Talbots were French grand tourers, rather than British roadsters. The Alpine was launched in 1953 and ran to 1955, receiving an upgrade in 1955 in line with the saloon and DHC models. The Alpine was also a successful rally car (under the direction of the new Competitions Department manager, Norman Garrad) and such greats as Stirling Moss and Peter Collins campaigned them for the works team. Stirling Moss and Sheila van Damm tested a specially prepared Alpine at Jabbeke in Belgium, each exceeding 120 mph (193 kph). On the other side of the channel, Automobiles Talbot (nee Darracq) was absorbed by Simca in 1959 and production ceased. Although this has no bearing on the Rootes Group, it will become significant later on.